The face plays the central role in physical appearance. First impressions in business and social settings are often based on a person’s facial features. Sometimes, the effects of age, trauma, or the whims of nature make enhancement through facial plastic surgery desirable. Perhaps the nose needs sculpting, or perhaps the years have taken a toll on once-youthful facial features. San Diego plastic surgeon Dr. Ervin Wheeler performs facial plastic surgery procedures such as rhinoplasty, facelift, and eyelid surgery to aesthetically enhance the face so that his patients can give the best impression possible. When signs of aging have become more apparent on the face than is acceptable, and when daily stresses of life coupled with the natural effects of gravity have given the face a sagging, perhaps jowly look, a facelift can provide a solution. The sun-and-sand lifestyle associated with San Diego can necessitate a facelift as well, as environmental factors such as sun and wind often cause premature aging. In the facelift procedure, also known as a rhytidectomy, Dr. Wheeler makes incisions behind the hairline and, if necessary, removes any accumulated fat from under the facial tissue. He tightens the facial muscles and underlying membrane, then pulls back and trims any excess skin, giving the face a more defined, youthful look. The procedure generally takes several hours and is usually performed under a local or general anesthetic at our surgical facility in La Mesa, near San Diego. Our facelift patients report that facial skin feels fresher and firmer after having the procedure. They describe restored confidence in social situations as a result of their more-youthful facial appearance. If you have looked in the mirror and contemplated turning back the clock on the effects of time or an outdoor lifestyle, we encourage you to contact our office. Facial plastic surgery can give you a more youthful appearance and boost your confidence in any social situation. The eyes, more than any other facial feature, reveal your thoughts and emotions. However, sometimes the eyes don't tell the truth. Eyes that have droopy upper lids, puffiness, or dark circles can give the appearance that you are constantly stressed and fatigued, or even that you are unhappy or angry. This miscommunication can affect business and social life when the message conveyed by your eyes is misjudged by your acquaintances. Eyelid surgery performed by Dr. Wheeler can redefine the contours of the eyes and relieve them of a drooping appearance. Cosmetic eyelid surgery, also called blepharoplasty, entails the removal of fat and any excess skin or muscle from the upper and lower eyelids. The procedure generally takes one to three hours, and is usually performed with local anesthesia in combination with oral or intravenous sedatives. Eyelid surgery is typically an outpatient procedure — you'll be able to return home the day of your eyelid surgery. Dr. Wheeler has helped many San Diego County residents with eyelid surgery. If you have droopy, fatigued-looking eyes, Dr. Wheeler can tighten and smooth the skin so that your eyes look fresh and alert. 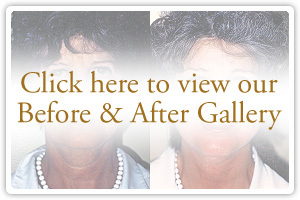 Following the procedure, you'll feel more comfortable and confident with your appearance. Many patients combine eyelid surgery with BOTOX® treatment or a skin care procedure for a refreshing new look. Contact our office, serving all San Diego, to learn more about eyelid surgery and our complete line of skin care techniques. The nose is the most prominent feature of the face. When nature bestows a shape that doesn’t suit your facial ideal, or an injury has altered the shape of your nose, Dr. Wheeler can reshape your nose with rhinoplasty for a much more aesthetically appealing appearance. A procedure often requested by our San Diego clients is rhinoplasty, or reshaping of the nose. Rhinoplasty can reduce or enlarge nose size. It can adjust the angle of the nose and reduce the span of the nostrils. To keep your cost down and for your convenience, Dr. Wheeler performs rhinoplasty on an outpatient basis at his advanced facility in La Mesa, near San Diego. The rhinoplasty procedure generally takes about two hours, although more involved cases can take longer. Dr. Wheeler separates the skin of the nose from the underlying bone and cartilage. He then shapes the bone and cartilage to the desired shape. A return to low-activity work is possible after a week. Rhinoplasty is a relatively routine surgery and there is little risk associated with the procedure . However, there is no reason to take chances with a procedure that addresses such a critical part of your facial appearance. At Dr. Wheeler's La Mesa office, our San Diego rhinoplasty patients have the assurance that their procedure will be performed to the exacting standards of San Diego Magazine's "Top Plastic Surgeon." For rhinoplasty that meets the highest aesthetic and medical standards, contact our office today. San Diego County residents considering facial plastic surgery may not be aware of how a relatively simple forehead lift procedure can dramatically restore a refreshed and more youthful appearance to the face. Aging and stress can result in a drooping forehead etched with horizontal lines, giving the face a perpetually tired, sad, or even angry appearance. Our forehead lift virtually erases the effects of age, and can give any of our patients a new "look" on life. During a forehead lift procedure, Dr. Wheeler removes or modifies the tissue and muscle underlying the forehead to eliminate the drooping and lines. The incision is made well within the hairline so that any scarring remains hidden. To get an approximate idea of how a forehead lift can give you a more alert, refreshed appearance, face a mirror and place your hands on the side of your face at the outside edges of your eyes above the eyebrows, then gently pull up and back. 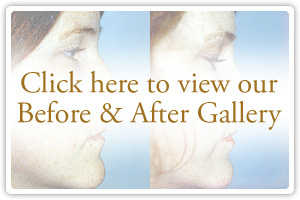 Forehead surgery is often performed in conjunction with another facial plastic surgery procedure. 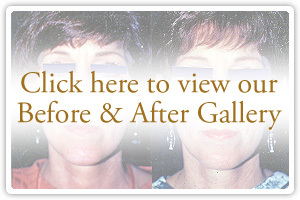 Often our San Diego patients who have a facelift also have a forehead lift to complement and enhance results. Many of our eyelid surgery patients have forehead surgery as well to achieve a more complete and aesthetically satisfying look. To learn more about how forehead surgery can give your face a refreshed appearance, contact Dr. Ervin Wheeler's La Mesa office today. A neck lift provides an effective remedy when age leaves skin on the neck loose and hanging, giving some individuals a "turkey wattle." However, neck lifts are not reserved exclusively for the effects of aging. Patients who have lost excessive weight often find that the neck does not return to a slim, tight look. And, sometimes family genetics bestows a loose, fleshy neck. Whatever the cause, only a neck lift can give the neck a tighter, more physically fit appearance. In a neck lift procedure, Dr. Wheeler sculpts the neck by removing fat and tightening underlying muscles through a small incision under the chin. The procedure generally takes two to three hours to complete and is done on an outpatient basis at Dr. Wheeler's La Mesa state-of-the-art surgical facility. A local anesthetic with sedation is typically used in a neck lift procedure, but a general anesthetic may be administered if the patient prefers to sleep through the procedure. Our San Diego patients who have a facelift sometimes choose to have a neck lift as well, as part of a complete facial-enhancement package. 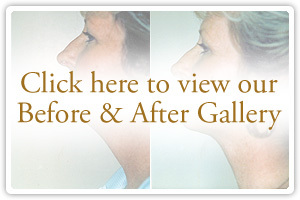 If you are considering a facelift, Dr. Wheeler can explain the added benefits of a neck lift. Contact our office today to schedule a consultation to learn how a neck lift and other facial plastic surgery procedures can enhance your appearance. For children, days on the playground can be miserable if they have to endure teasing or bullying because of something that makes them a little different from the rest of the kids. Those children who have distinctly prominent ears face the excruciating embarrassment of being the target of other children's taunts. If your child has protruding ears and has been the target of bullying at the hands of peers, or if you are an adult who seeks cosmetic relief for large ears, Dr. Wheeler can provide a solution with otoplasty, a facial plastic surgery procedure also known as ear pinning. Because the ears are almost fully developed at the age of four, otoplasty can be performed on a child at an early age. Dr. Wheeler makes a small incision on each ear and removes a little slice of cartilage. The ear is then stitched so the remaining cartilage fuses as it heals. The procedure can pull ears back closer to the head, and it can reduce the size of the ears. Other otoplasty procedures can correct misshapen ears caused by genetics or the results of excessive ear pulling. Your child's social development and self-esteem can be at stake if he or she has especially prominent or oddly shaped ears. Otoplasty can end the teasing once and for all. Adults can also derive cosmetic and self-esteem benefits from an otoplasty procedure. If you are a San Diego resident interested in facial plastic surgery procedures that can make an enormous difference in a child's as well as an adult's life, contact our La Mesa office today. Facial implants provide aesthetic enhancement to both the young and not-so-young. A girl in her teens may choose facial implants to bring balance to her face by enhancing the chin or cheekbones. An older patient may have facial implants to improve a sunken appearance brought on by age. Versatile facial implants can add proportion to the face and strengthen facial features with remarkable results. A facial implant procedure is relatively quick when compared to other facial plastic surgery procedures. Chin and cheek implant procedures take about an hour; jaw implants take about two hours in an outpatient procedure. Dr. Wheeler makes an incision near the area where the implant is to be placed, often in the mouth to eliminate scarring, then inserts the implant and skillfully positions it for maximum aesthetic appeal. Sutures placed after the procedure will be removed after a week, or they will dissolve in about that same time if placed in the mouth. Facial implants can be placed in conjunction with other facial procedures as part of a complete makeover. Many of our San Diego facial plastic surgery patients who have had facial implants report that friends and associates notice a marked change for the better in their facial appearance, but often don't realize the change came about through plastic surgery. Make an appointment today for a free consultation with Dr. Wheeler to learn more about facial implants and how they can improve the shape of your face. Hollywood celebrities have brought full, sensuous lips into vogue. Many of our San Diego patients who have facial plastic surgery often request a lip enhancement procedure as well to accentuate their overall results. Alone or in combination with another procedure, lip enhancement can improve the facial aesthetic of both women and men. Dr. Wheeler offers different lip enhancement procedures designed to fit the desires of anyone. Injectable fillers provide a quick solution to augmentation, as treatments generally take no more than an hour and provide immediate results. Collagen, a dermal filler that has been safely used in more than a million plastic surgery procedures, is often used to plump the lips. A collagen treatment lasts up to six months. Restylane® is a hyaluronic acid–based dermal filler that has augmentation properties similar to collagen but is hypoallergenic and results may last up to a year. Fat grafting provides longer-lasting results, 18 months or longer, for lip enhancement. During the procedure, Dr. Wheeler removes fat cells from the abdomen or another part of the body and injects the fat into the lips. Fat grafting is gaining popularity because it uses a natural substance from the body. Because the procedure uses a patient's own cells to enhance the lips, the risk of an allergic reaction or other adverse side effects is greatly lessened, and the patient attains the same excellent results provided by injectable fillers. A lip lift is a surgical lip enhancement procedure. Dr. Wheeler incises the skin above the lip or under the nose and removes a small slice of skin. He then pulls up the lip and sutures the incision. This procedure is especially effective for people with thin lips showing very little red. Full, beautiful lips can make anyone look and feel more desirable. In a free lip enhancement consultation, Dr. Wheeler will explain in detail each of the lip enhancement procedures he offers and will guide you to the procedure most suited to your facial structure. San Diego County residents considering rhinoplasty, eyelid surgery, a facelift, or another facial plastic surgery procedure can contact our office to schedule a private consultation with Dr. Ervin Wheeler.